Tanner Ranch, Edgemont, S.D., repeat Red Western bull buyers. Dave Hoffman, Crawford, Neb., purchased a couple Red Western Red Angus bulls. Shammel Ranch, Hemmingford, Neb., purchased the top selling Red Angus bull at the Red Western sale. 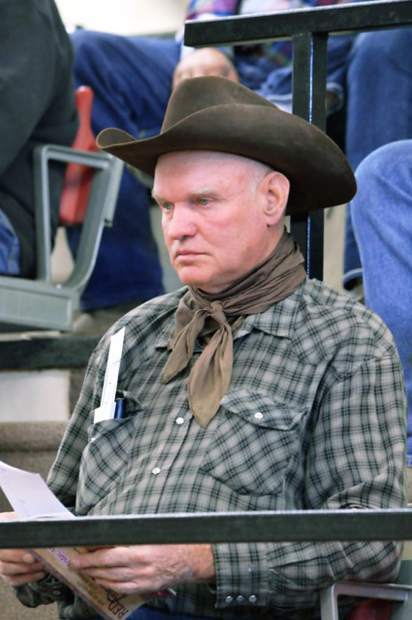 John Sides, Sides Ranch, Smithwick, S.D., is a repeat Red Western Bull buyer. 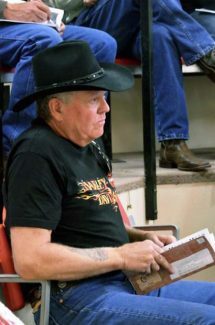 Brad and Trixie Grill and Jeff and Diana Grill along with guest consignor Fick Red Angus welcomed a good crowed to their 11th Annual "Red Western" bull sale on April 10 at Crawford Livestock, Crawford, Nebraska. This is a smaller sale on numbers but the quality will rank up there with many of the top sales in the region. These bulls are moderate framed to fit the rugged terrain they are raised in and are easy fleshing. The bulls are not fed hard for optimal gains, but slowly developed to express their natural genetic ability. The Fick Red Angus bulls are managed with the same philosophy. 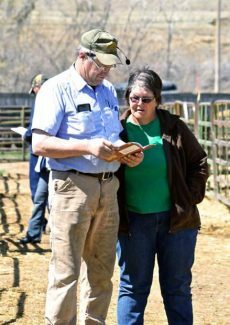 With spring born yearlings, fall bulls and two year old bulls, there was a bull to fit any cattlemen's operation and price range. Lot 3, B Lazy T MR OLY B002, a Feb. 2014 son of Red SSS OLY 554T sold to Ron Steffan, White Lake, S.D., for $9,250. This bull has epds of CED 6 BW -5.3 WW 58 YW 92 Milk 14. Sides Ranch struck again on Lot 37 and 18 at $7,500 each. Lot 37, Grill 18Z is a Sept. 2013 son of Grill Gold Rush 2W that has epds of CED 3 BW -2.8 WW 50 YW 78 Milk 25. Lot 18, B Lazy T MR WC B083 is an Apr. 2014 son of Mushrush Impression X344 with epds of CED 5 BW -2.4 WW 59 YW 92 Milk 20. 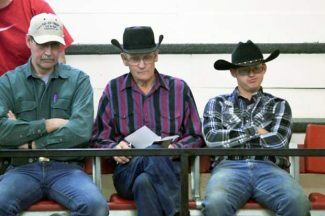 Three bulls sold at $7,000 each. This was the 5th year that Fick Red Angus from O'Neill, Nebraska sold bulls in the Red Western Sale. Topping the Fick bulls was lot 43, FCK Julian A157 a May 2013 son of FCK W76 with epds of CED 4 BW -2.0 WW 54 YW 86 Milk 22 plus the bull had a weaning ratio of 112 and yearling ratio of 105. Jake Hunter, Chadron, Nebraska, was the buyer at $7,000.